Poo Doo Leash - Pet Waste Carriers Your pooch wants some TREATS! As dog owners, it is only natural to want to spoil our pups as much as possible. 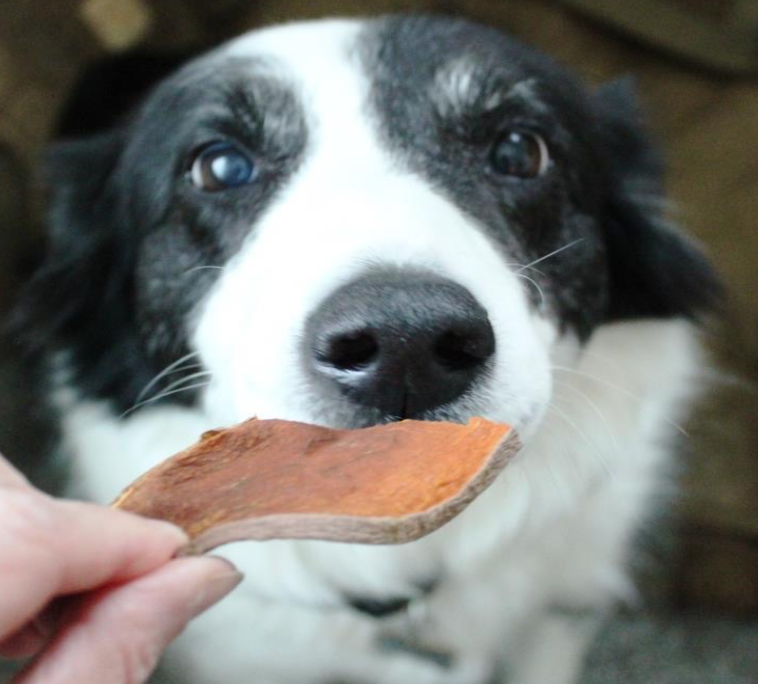 Most know that there is no better way to show your dog some love than the almighty TREAT! After blowing through bag after bag of expensive dog treats from the pet store, only to find out they were toxic and not made in the good ole U.S.A., I started making my own at home. Not only is it much more cost effective, but you can make extra to freeze and always have on hand. I have listed some of my favorites recipes below. 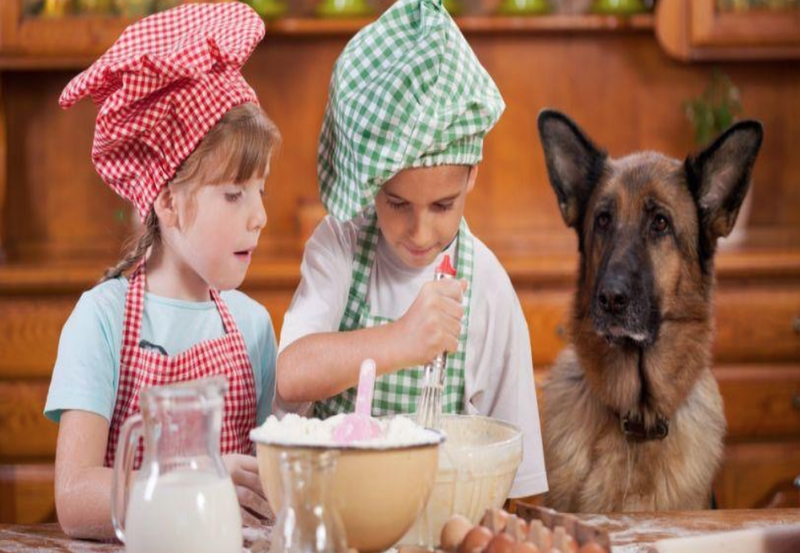 If you are too busy to make your own treats (me most of the time), our friends at Spoil Me ‘Smo have amazing and tasty dog treats at www.spoilmesmo.com with no preservatives. They cater to the dog with allergies and take pride in their products. One of their awesome recipes are listed below! -Set your vegetable slices on trays of your dehydrator. If you don’t have a dehydrator, you can do in the oven on 200 degrees for a few hours depending on your oven (check consistency after an hour). -Using your manufacturer’s setting for vegetables cook for 2-4 hours checking for desired consistency. You want them to be chewy and leathery not limp or crunchy. -Store in a ziplock back in the refrigerator for up to a week. -Combine flour and oats in large bowl and mix. Make a well in the middle of the mixture and add hot water and peanut butter. Mix until mixture forms a ball of dough. -Turn dough out onto a floured surface. Roll out into a circle, with dough being about 1/2″ thick. Cut out with cutters. -Place cut out treats on a cookie sheet sprayed with non-stick spray. You can place them fairly close together since they do not spread during baking. -Bake for 30 minutes for crispy treats (a little less for softer ones). -Let cool completely. Store in airtight container. Freeze after two days (I end up freezing most of mine since the recipe makes so many). These are a little messy but the dogs love them! -Start by preheating your oven to 350˚. -Put the 1/2 cup of water into a microwavable bowl and heat it until it’s almost boiling. Then drop your bouillon cube in the water to dissolve. 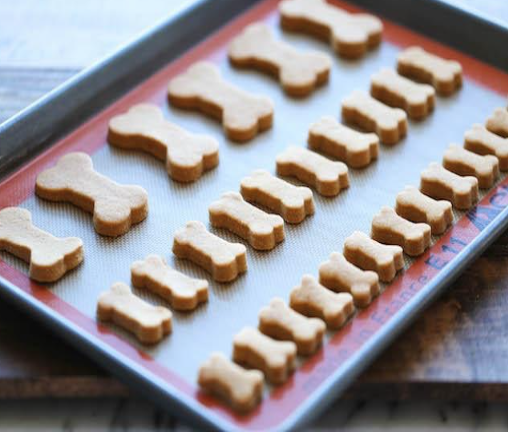 -Then grab your cookie cutter and start cutting out your dog biscuits. 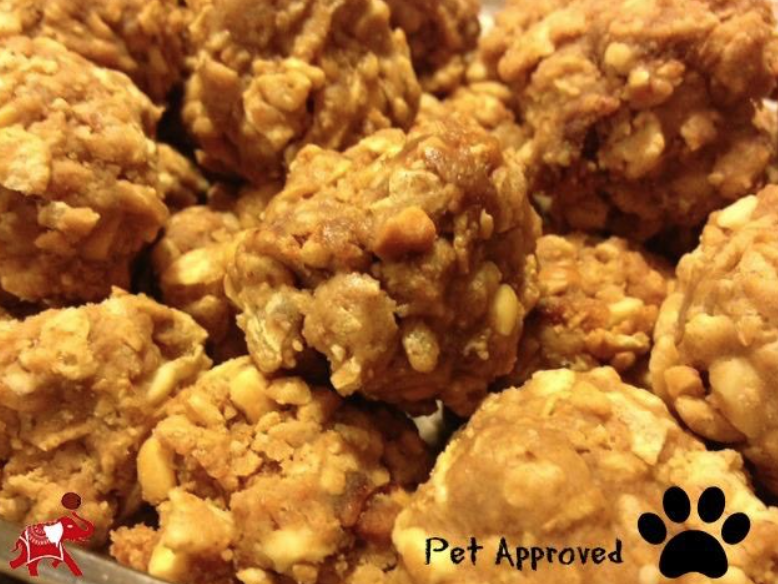 -Place the dog biscuits on the cookie sheet and bake at 350 degrees for 30 minutes! Here at Poo Doo Leash and State Paws, we hope you are having an amazing summer! Happy baking.